This picture of the Smethport Wood Production Company which was taken down behind the McKean County Fairgrounds looking North toward East Smethport. 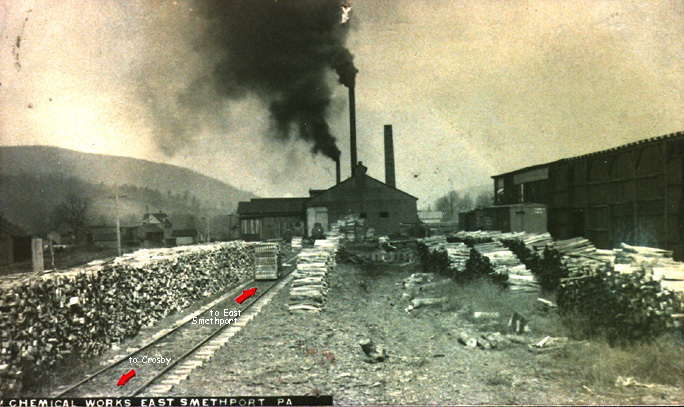 At the time this picture was taken the plant was called Smethport Chemical Works. The railroad line running to the plant delivered the wood. Click here to return to Smethport Wood Production Company main page. Click here to return to East Smethport.